Social media marketing seems to be something very common for you. Right? Well, why shouldn’t it be even? Almost 7 out of every 10 companies in the United States of America are opting for social media as a prominent platform to market their businesses. And, when it comes to various such social media networks like Facebook, Twitter, Instagram, Snapchat etc., the first one holds an utmost importance. Yes! I am talking about Facebook. A buzzing name that almost every individual in the society is aware of nowadays. There are almost no less than one billion Facebook users in the world. Moreover, just a few years ago, there has been a promising addition to the Facebook. And, that is nothing but the Facebook Messenger through which you usually have personal communications with your friends. But, for the businesses, the Messenger is a lot more than just a messaging app. It came up as a significant opportunity for every genre of business to communicate with their prospective and potential customers while adding a yet more personal touch. It is a perfect medium for the topical content as well. I am here to share some effective Facebook Messenger marketing strategy hacks that could further help you boost up your business. Just take a glance over! In 2016, Facebook rolled out Messenger ads. And, no doubt, there was a genuine reason behind that. Want to know what? Then, just check out the chart underneath from Business Insider and you would certainly get a clear idea. 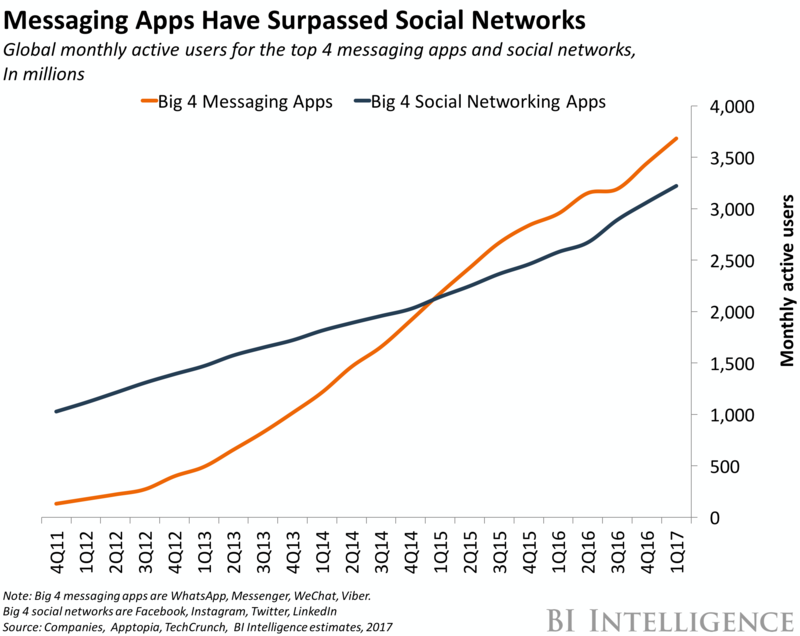 It is evident from the aforementioned graph that the use of four messaging apps by the users has passed off the use of four social networking apps. In the contemporary times, almost more than 1 billion people are using Facebook Messenger. So, if you put up your ads relevant to the products or services that you want to sell in such a buzzing messaging app (of course, Facebook Messenger!) then those advertisements would have better chances of being viewed by a huge number of your customers. Also, there are two kinds of Facebook Messenger ads that you can go for. Want to know about them? Then, just read ahead! You can post such ads in the news feed section. If you intend to create them on Ads Manager then you would find an option for destination ads at the ad level. Although it looks like a normal ad, still you can add images, slideshow, facebook video. When customers would click such ad links then they will be redirected to a Facebook message. You can find a detailed explanation how to create a Facebook destination add. There are limitless possibilities. Don’t feel like you must use it for one particular purpose only. Sponsored ads directly appear inside the inbox of the Facebook Messenger. You can send the lucrative promotional messages to your prospective customers through such ads. If you want to create such a marketing campaign for your business in Power Editor then you would find this option at the ad set level. Also, don’t forget to include images and links while setting up a real message for an extra push. This type of ad is a simple and effective way to promote your presence on Messenger. It allows the advertiser to build personal connections with their customers. Find a more detailed explanation how to create this ad. And don’t forget to take the audience-first approach when you create your ad. Just because the internet and your website never sleep doesn’t mean that your company would be able to remain online 24×7. Right? But, at the same time, you wouldn’t even like to lose your probable customers because of any communication gap. So, why don’t you opt for the ‘Response Assistant’ feature of Facebook? 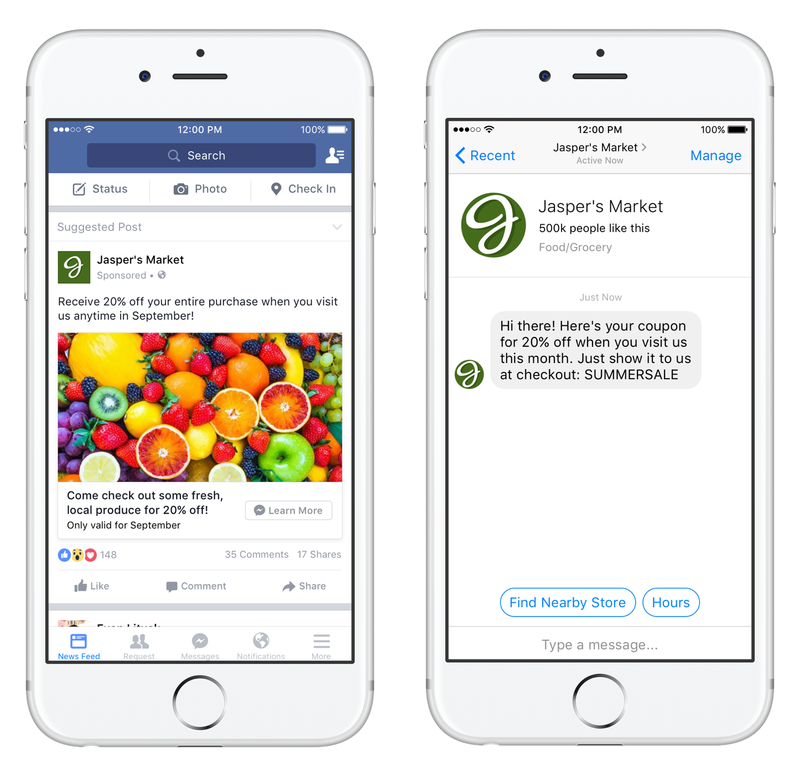 This can be a great add-on to your facebook Messenger marketing strategy. It would continuously provide you with the facility of using auto response. And, the best of this attribute of Facebook Messenger is that you can customize your message up to almost 250 characters. So, through such a feature, you can direct your customers to call you back or email you whenever they have any query and you are not available. Go to ‘Facebook’s Settings’ followed by messaging and then opt for ‘Response Assistant’. Next, Click ‘Yes’ and compose your message. Then, you can easily compose your message. PearceMarketing shared a detailed tutorial with images on how to set up the assistant if you need more guidance. Use Facebook Page which has the bots as they are by default available in the Facebook system. If you want to access the bot of any specific page then simply proceed towards any of your desired Facebook Page and hit the ‘Message’. Communicate with the bots through URL as every single one of them is composed of the same. Quick Response Code is extremely effective for personal marketing approaches. If you want to scan a code then visit the ‘People’ tab in the Messenger and then click ‘Scan Code’. 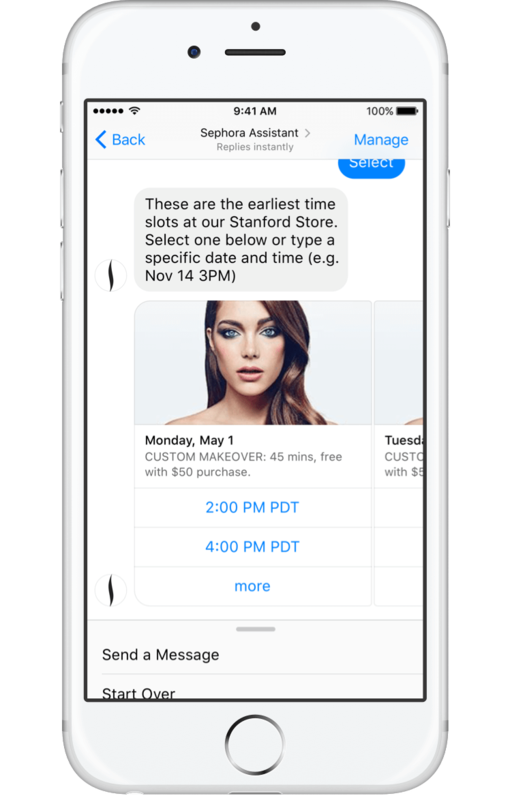 Sephora used Messenger bot with conversational interface. It allows people to tell the bot which store location and service they want and then instantly receive the closest dates and times. This helped to increase booking rate by 11%. 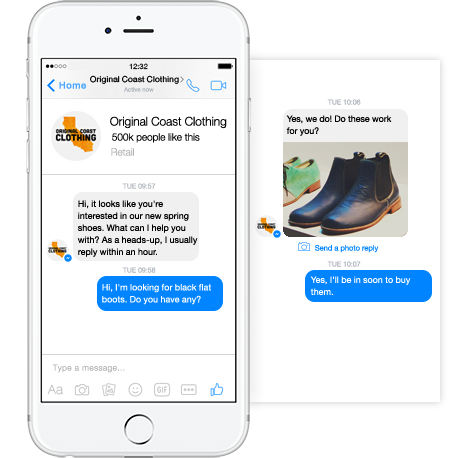 Are you convinced that bots are worth to be included in your Facebook Messenger marketing strategy? Well, these are the three most effective Facebook Messenger marketing strategy hacks through which you can boost up the social media marketing strategy for your business. But, apart from these three aspects, there are a couple of more advantageous approaches available which are worth opting for. For example, you can use Facebook Messenger to identify the really profitable customers for yourself, and use CRM to provide a better customer service through Facebook Messenger. 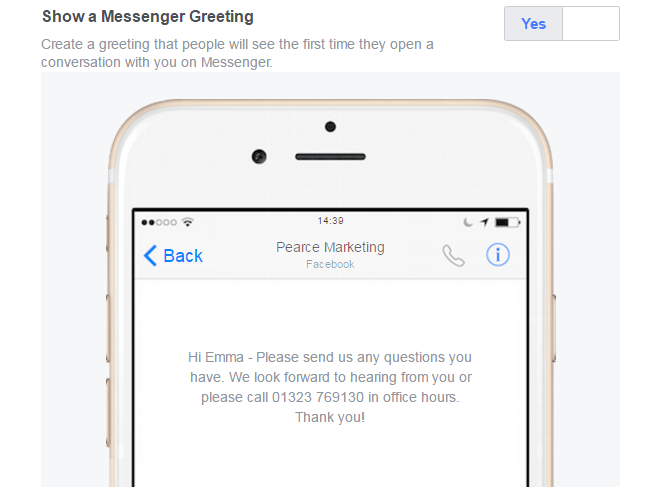 So, now I would wind up this engaging article which I hope has helped you to understand how to operate Facebook Messenger perfectly and gain fruitful results for your business. By the way, I found this great article with tips on how to use Facebook ads affectively in general. You might find this useful. Last but not the least, just opt for these potential Facebook Messenger marketing strategy approaches and your business would certainly go up to the next level!! Marketing manager at CouponsMonk, deals and discounts provider company. He is passionate about money savings, investment and finance industry. In addition, Joseph also supports non-profit agencies that provide healthcare solutions to handicapped and disabled people.